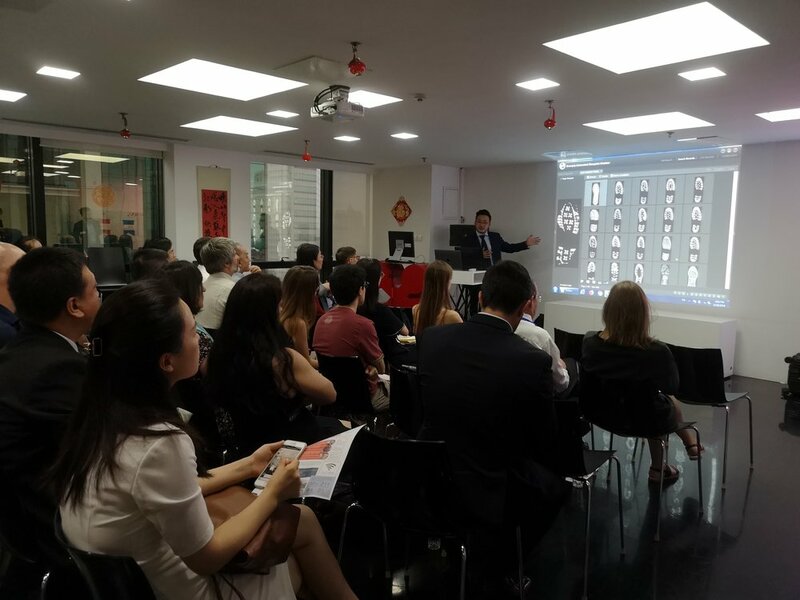 On the evening of June 28, 2018, swissnex China was delighted to invite prominent speakers, cutting-edge technology providers and outstanding peers from China and Switzerland to discuss and compare key innovations and the latest developments in judicial civilization through a collaborative international approach to Evidence Science. Prof. Dr. Baosheng Zhang (China University of Political Science and Law, CUPL) opened the session with his speech dedicated to the well-established and long-lasting relationship between CUPL and School of Criminal Justice (ESC) at University de Lausanne (UNIL). Prof. Dr. Baosheng Zhang highlighted the long-established relationship between CUPL and UNIL. Secondly, Mr. Bo Li, International Department Manager at Dalian Everspry Sci & Tech Co.,Ltd, and his colleague Wentao Ma, introduced in an interactive hands-on presentation the cutting-edge footwear mark technology of their company. Mr. Bo Li presented their product: an innovative solution to identify the footwear mark. The audience were invited to participate in the interactive session and were very impressed by the cutting-edge technology. Lastly, Prof. Dr. Christophe Champod introduced the new Massive Open Online Course on “Challenging Forensic Science” that was developed at UNIL. Prof. Dr. Christophe Champod gave deep insights into the Massive Open Online Course (MOOC) from the School of Criminal Justice (ESC) of the University of Lausanne (UNIL). “I think there are two benefits. First, our Chinese colleagues from CUPL (China University of Political Science and Law) highly appreciated the fact that they were the first and privileged audience to which we displayed the trailer of our forthcoming course. This confirmed their strong interest to be involved in a Chinese translation of our course, and hence helping to distribute/promote our course throughout China, which represents a huge audience of prospective course participants. Second, our colleague from University of Adelaide (Law School), Australia, Mr. David Caruso, was also highly excited to see our course. He, too, will plan to promote this course among his students; using this course as a basic introduction will then help us develop more focused, interactive face-to-face seminars with (law) students, to deepen their understanding of the various topics.